Through personal journeys both interior and across the globe, Alden Jones investigates what motivates us to travel abroad in search of the unfamiliar. By way of explorations to Costa Rica, Bolivia, Nicaragua, Cuba, Burma, Cambodia, Egypt, and around the world on a ship, Jones chronicles her experience as a young American traveler while pondering her role as an outsider in the cultures she temporarily inhabits. 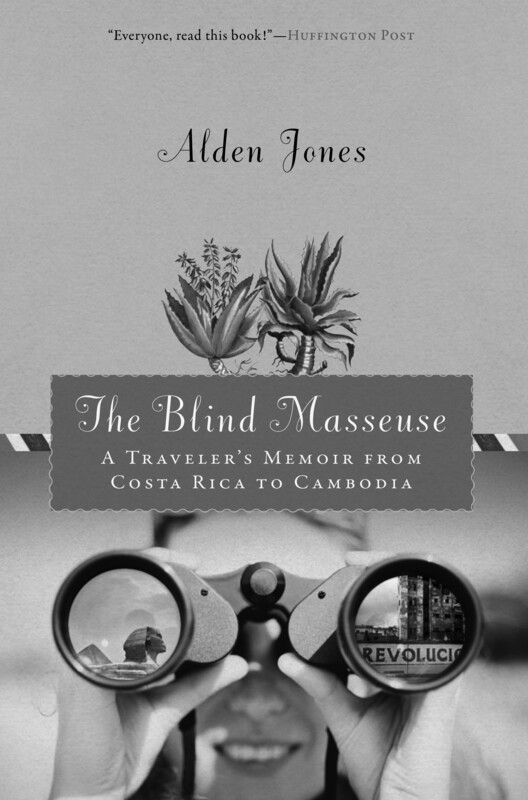 Her wanderlust fuels a strong, high-adventure story and, much in the vein of classic travel literature, Jones’s picaresque tale of personal evolution informs her own transitions, rites of passage, and understandings of her place as a citizen of the world. 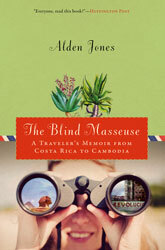 With sharp insight and stylish prose, Jones asks: Is there a right or wrong way to travel? The Blind Masseuse concludes that there is, but that it’s not always black and white. Alden Jones has lived, worked, and traveled in over forty countries, including as a WorldTeach volunteer in Costa Rica, a program director in Cuba, and a professor on Semester at Sea. Her work has appeared in AGNI, Time Out New York, Post Road, The Barcelona Review, The Iowa Review, Prairie Schooner, Gulf Coast, and The Best American Travel Writing. She lives in Boston.